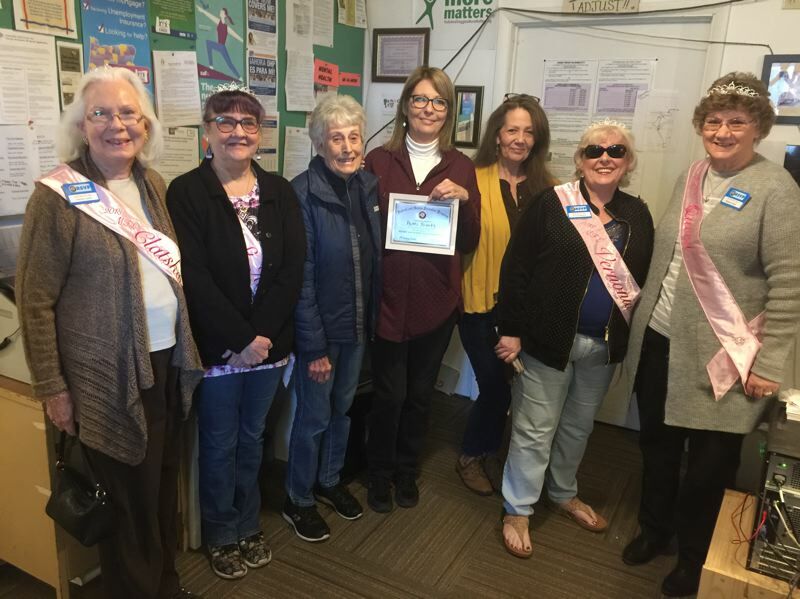 Patti Younts of Clatskanie was named volunteer of the month for January by Columbia Countys Retired Senior Volunteer Program. Younts was honored while helping out at Turning Point Community Center, where shes volunteered for six years, by the 2018 My Fair Lady court. Pictured: Jeanne Kangas, Patty St. John, Donna Harmon, Younts, Turning Point Director Kelly Miller, Mary Ann Shaw and Carla Bodenhamer.